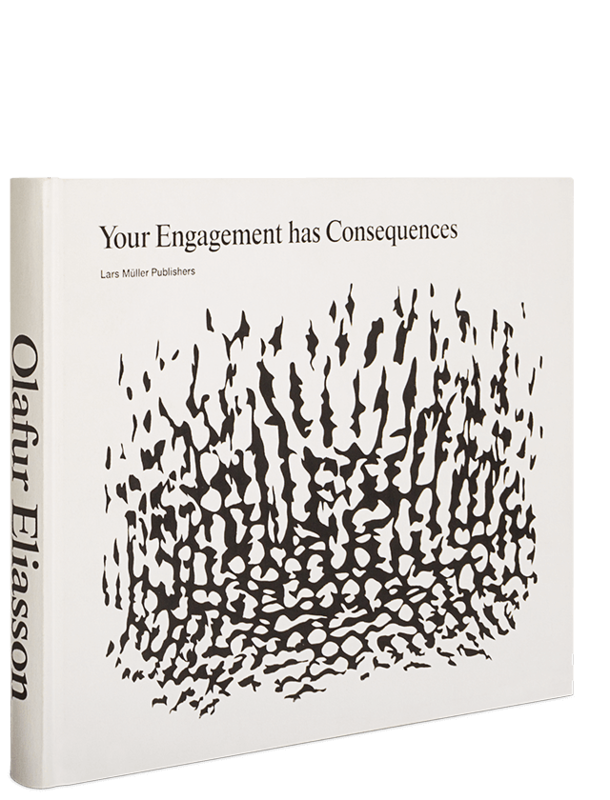 As part of its BMW H2R research project, Studio Olafur Eliasson is preparing a dense publication comprising extensive visual material; excerpts from two seminars held in 2006/2007; and conversations between Olafur Eliasson and a number of distinguished artists and thinkers. 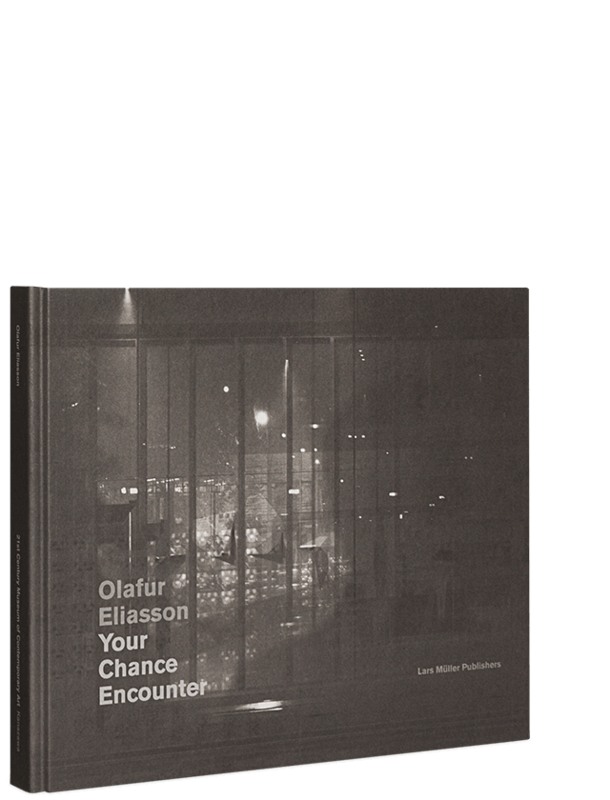 In the research project, Eliasson raises questions of formgiving and materiality, mobility, temporality, movement, and renewable energy. In 2005 a BMW H2R hydrogen-powered vehicle was delivered to Studio Olafur Eliasson and then stripped bare of its outer shell. To create a new skin several form studies have been carried out in a temporary geodesic dome, constructed in the yard of the studio. The final surface of the car consists of layers of ice, frozen around two intricate nets, mirrored plates and light. The “Climate car” can only exist in a microclimate with a temperature of minus 6 degrees Celsius or below. Olafur Eliasson, born 1967, is one of the most renowned contemporary artists. 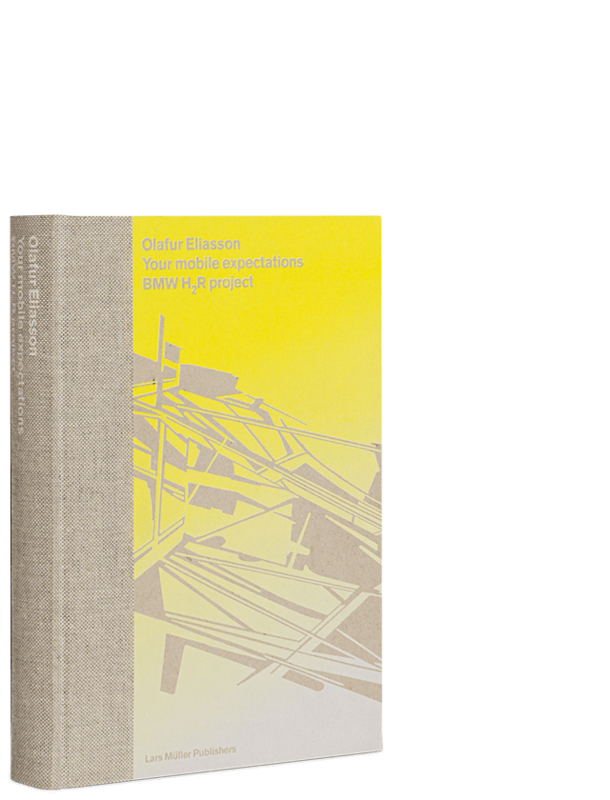 He is based in Berlin where he has established Studio Olafur Eliasson, a laboratory for spatial research. In his works he explores the relationship between individuals and their surroundings, like in his awe-inspiring lare-scale installation The Weather Project for the Tate modern in London. He lives and works in Berlin and Copenhagen.